Join Marion Military Institute (MMI) Sat. FEB 2 for a college campus visit (from 9 am -1 pm) to learn about our signature civilian* & military officer programs, attend class, meet current students, discuss financial aid and personalized scholarship opportunities. Lunch for your family is on us! 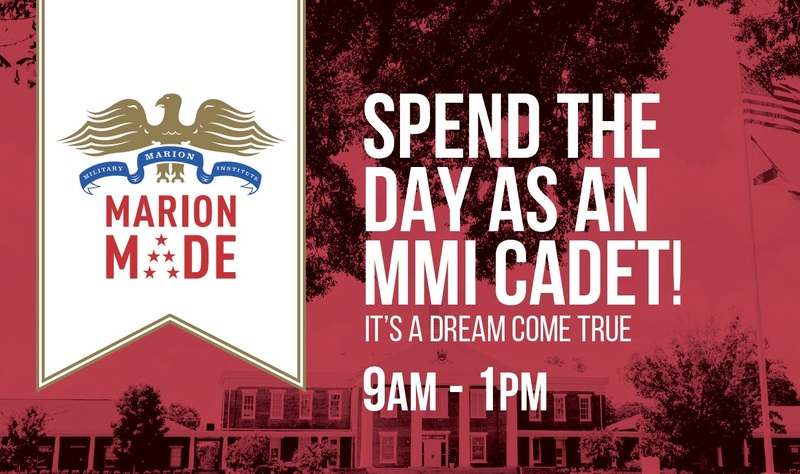 This open house for prospective students and their families is an excellent way to become an MMI cadet for a day! See if you have what it takes to become MARION MADE. Approximately 50% of our students (and most athletes) attend MMI with NO military obligation, enrolled in our civilian Leadership Education Program.